Australian mobile network operator Telstra has become the first operator to launch a mobile broadband service using HSPA+ at 42Mbps (bits per second), it said on Monday. The 42M bps performance is only theoretical, however: users can expect "typical download speeds ranging from 1.1M bps to 20M bps," according to Telstra, while the manufacturer of the HSPA+ (High Speed Packet Access+) equipment, Ericsson, said users can expect peak speeds of up to 30M bps. To get to 42M bps from 21M bps, the fastest theoretical speed operators could offer using previous HSPA+ equipment, modem and mobile network vendors are implementing a technology called dual carrier, which allows networks to send and receive wireless data using two channels simultaneously. The roll out of HSPA+ using dual carriers is held back by the availability of modems. Telstra has managed to get its hands on 2,000 Sierra Wireless modems based on a chipset from Qualcomm. Telstra will sell them to its business customers under the "Ultimate USB Modem" brand, and expects to offer the modem more widely later this year. Other operators are also planning to launch mobile broadband services using HSPA+ at 42M bps, but are still waiting for modems. Recently, Peder Ramel, CEO at 3 Scandinavia, said he is expecting the first modems to arrive sometime in the fourth quarter. 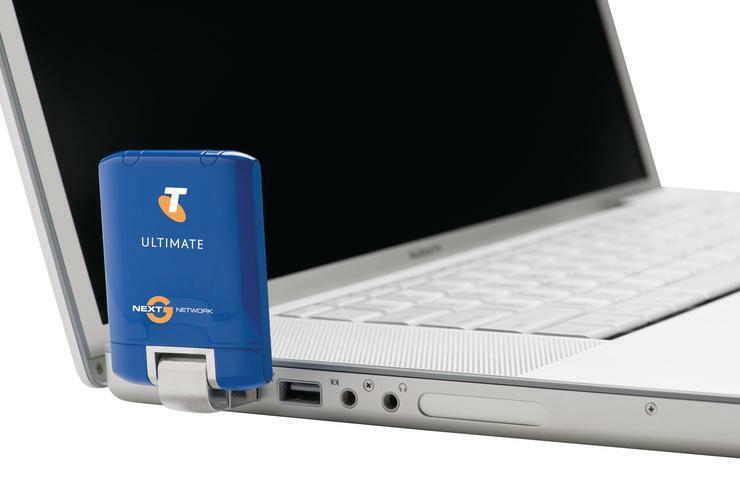 Telstra's Ultimate USB Modem can be purchased with a number of different mobile broadband plans, including paying nothing up-front if they commit to a A$69 (US$62) monthly plan for 24 months.